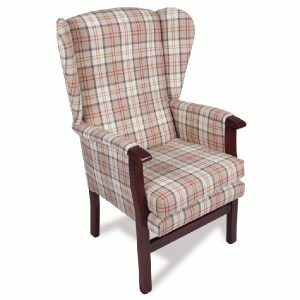 Rise & Recline chairs are a company based in Nottingham that specialise in bespoke furniture. Their chairs are purposely developed to assist people who have trouble with sitting and standing. 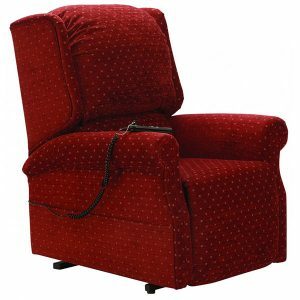 They are unlike the usual high street recliner chairs because these use medical grade foam to prevent pressure sores and also use a variety of different mechanisms to assist with different ailments. They are designed for a purpose and more often than not that purpose is to assist in the pain relief that is present when trying to either stand up or sit down. 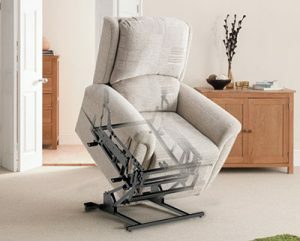 The range of chairs from Rise & Recline Ltd that we offer are designed to minimise this uncomfortability by using various different mechanisms that will lift and lower a person in various different ways, thus exerting the least amount of pressure or force on the joints as possible. To compliment these mechanisms, the rise and recline chairs are then covered in medical grade foam which helps with circulation and a wide range of fabrics which can either washed and wiped or made to closely match the existing furniture. There are various different seat mechanisms available and each one is beneficial to the seating positions it was designed for . 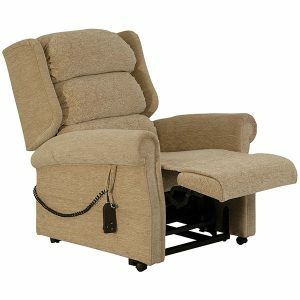 Every riser recliner chair is designed specifically to operate in a certain motion and these include wall-huggers, tilt-in-space, single motor, dual motor and vertical lift. Once you have decided which mechanism will offer you the greatest benefits, you can move on to the style of chair. With so many to choose from there will be a design that will blend in with your current furniture seamlessly. We can provide anything from flat back cushioned designs such as the "Buckingham' to luxurious waterfall cushion design such as the 'Royal'. Each can be individually tailored to suit the level of comfort required which ensures that every chair we supply is completely bespoke. 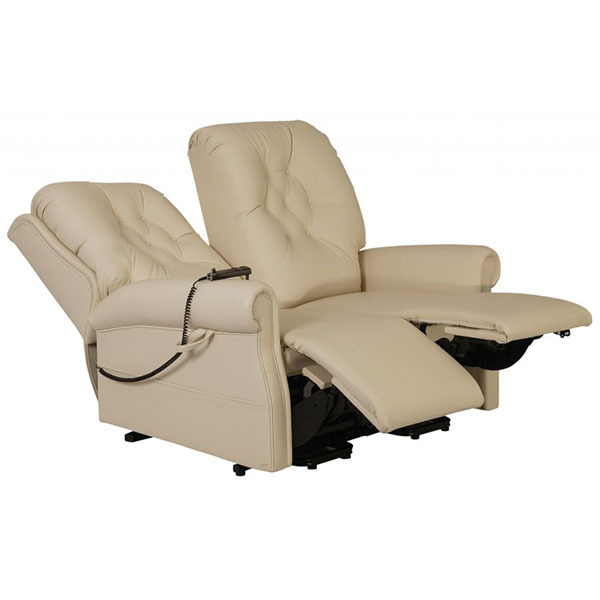 There are optional extras available for all of our rise and recline chairs which include wooded knuckles, various sized wings, increased arm heights and of course individual seat pad dimensions such as depth, width and seat height. A rise and recline chair should be used to make life as easy as possible. For this reason, they should be made to measure and not bought off the shelf. If the chair you are using does not fit correctly then the user will not get the full potential out of the chair and could, in some cases, be making life harder for themselves rather than easier. If you are in any doubt then give our friendly sales team a call and ask for a home assessment where you can be advised correctly on the right equipment suitable for your needs.